Milk is the prime source of nutrition and energy for infants so is the case with the newborn calves they depend on milk for most of their energy needs at least for the first three weeks of life. Low body fat reserves and larger surface to body mass ratio makes the new born bovine more susceptible to cold stress when compared with the adult animals as they tend to lose body heat more quickly. 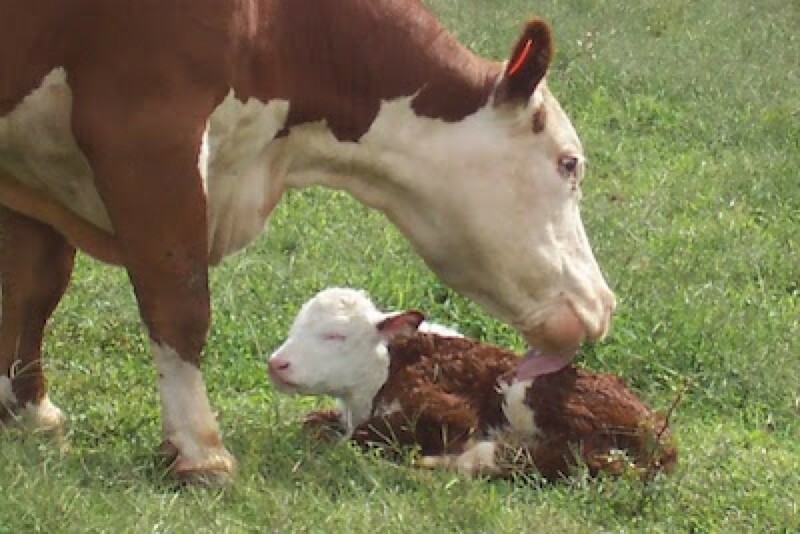 Maximum portion of the calves consists of liquid part basically colostrum in early days and milk later, so the adjustment in the liquid ration for cold conditions is of utmost importance as it is the key factor and serves the purpose of maintaining the bodyweight of calves and not exposing them to abrupt loos and gain in body weight. Increase the volume fed daily by feeding more often, at each feeding time, or both. Increase the offered milk concentration by adding more solids to the existing volume. Increase the existing milk volume's fat content. The best way to feed more nutrition is by far to feed the same diet more often throughout the day. As not every farm can adjust to feeding three times a day, but a significant need can be met if it can only be done for new born calves. Increased feeding rate of the milk replacer requires special attention of other details to keep the new borns in balance. The following things are to be kept in mind by dairy farmers and animal owners for efficient transition of calves in winter season. Timing–Despite weather fluctuations farmers must choose a date in advance of when they should change the feeding program in the season of birth and stick to it till the next variable season. Changing the rules is one of the worst things you can do for a calf. Water–Do your best to provide warm water soon after dairy feeding. Calves will reward your effort by drinking more water, eating more starter grain and growing under the coldest weather conditions. Starter–Pay close attention to the starter bucket even during cold weather. Ensure that the grain is available and appetizing to encourage young calves to eat as much as possible. Housing–A clean, dry, drain-free environment with deep bedding and possibly calf jackets or gunny bag coverings help the calves to reserve energy and channel their metabolic efforts towards immune function and development. Preparation of milk–Milk prepared for feeding in extreme cold cools quickly outside. Adjust the initial temperature to 100-105 degrees Fahrenheit (37.8–40.5 degrees Celsius) milk feeding temperature accordingly. When mixed, the dry milk substitute stored in cold conditions affects the final feeding temperature. Adjust warm water to achieve consistent feeding temperatures by means of a precise thermometer. Though the Cold weather can be difficult to raise the calves, but it doesn't make it impossible to raise healthy calves. With careful attention to the liquid ration and other details around it, one can achieve healthy, well-grown replacements under the most brutal conditions.